An inseparable bond. An insatiable force. Battling his own personal demons, Police Chief Jonah Westfall knows the dark side of life and has committed himself to eradicating it. When a pair of raccoons are found mutilated in Redford, Colorado, Jonah investigates the gruesome act, knowing the strange event could escalate and destroy the tranquility of his small mountain town. With a rising drug threat and never-ending conflict with Tia Manning, a formidable childhood friend with whom he has more than a passing history, Jonah fights for answersand his fragile sobriety. But he can't penetrate every wound or secret, especially one fueled by a love and guilt teetering on madness. Don't let the animal mutations throw you. They are morbid, it's true, but this book is more of a tale of recovery from human suffering than anything else. It's a love story, of two souls kept apart by a betrayal, recovering from abuses, both mental and physical, that will forever haunt them unless they give in to the only one who can ever heal them - our Savior, Jesus Christ. The characters in this tale are multi-layered and engaging. The suspense and intrigue continues all the way through. You may figure out "who dunnit" before the end but you won't want to stop listening until the last "page" has been turned. An excellent read by both the author and narrator. Enough action and drama to keep any listener engaged. I must admit: I only bought this book because the narrator is Kirsten Potter. I absolutely love her performance. The story is ok, in it a bit of romance, thrill and crime, and a few laughs. But overall it hasn't the quality of a great thriller - too many cliches. It is still enjoyable, though. As usual, I recommend that you read the publisher's summary. I try not to write spoilers. I did listen to the whole book. It was engaging enough to pass commute time, but didn't really have the plot twists that I like nor did it leave me thinking about it for a few days afterward. Once the main characters and their relationships are introduced, the outcome is obvious. There are a variety of small town interactions, some romance, some police matters, and the overall "mystery." Kirsten Potter, as always, did an admirable job of narrating. This is one of my favorite authors, but I wanted to add some acknowledgement. I loved this book, the story, the characters, and the suspense. what I really appreciated with this particular book was the accuracy and research that went into the twin pregnancy and conception aspect. I don't know if the author has has a personal experience but in my own personal experience, it's not information that most people know unless they have had experience with it. Great story and a great narrator. I can't wait for the next book in this series. This, book 1 of The Redford Series, is amazing! Both books are in my top favorites. The narrator does an exceptional job with each character. 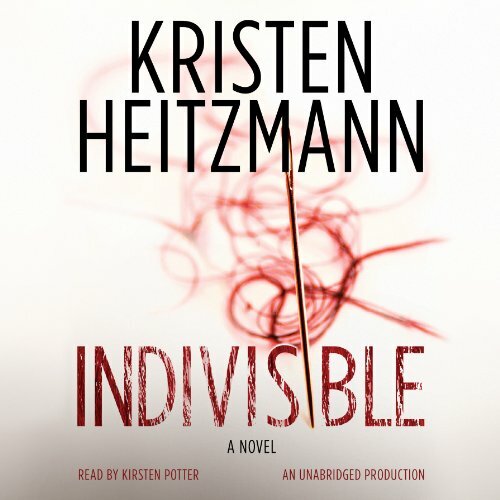 Heitzmann is an amazing writer and these books testify to this.